Farris Rookstool, III is an FBI goon. He thinks there were only two Lee Harvey Oswald wallets. Here he claims the story of police recovering Oswald’s wallet at the murder scene of Tippit is the one, real Oswald wallet. He says the story that police found one on Oswald in the police car after his arrest in the Texas theatre, that they took it from him on the way to DPD HQ is just a made up story. So, in his mind he has debunked the notion of there ever being a second wallet. He think there never really was a second that its really about who gets the credit for discovering it. But, didn’t Oswald leave his wallet with Marina before he went to work that day? Isn’t that wallet #1? John Armstrong thinks there are really five wallets. Bill Simpich writes about the wallet issue in chapter 6 of his online book, "State Secrets." I do not agree with Bill Simpich's conclusion that Oswald's wallet was at the Tippit murder seen. I don't know how or why Simpich comes to this conclusion when he does write that no one can account for how it got there. There is allegedly some unknown man who gave it to authorities. Well, that unknown person clearly wasn't Oswald. So, who he is and how did he get it? I don't believe Oswald shot Tippit. There is this rational offered that Tippit stopped Oswald and asked for his ID. Oswald supposedly handed Tippit his wallet through the passenger side open window. When Tippit saw two IDs, one for Lee Harvey Oswald, the other for Alek Hidell he got out of his car to talk with Oswald and that's when Oswald panicked and shot Tippit. This doesn't make sense to me. If Oswald panicked over a cop having his wallet and seeing the two IDS then surely he would pick up his wallet before fleeing the scene. I think we still have a mystery. For me, the wallet fits in with other evidence suddenly appearing in an effort to further incriminate Oswald. A lot of the evidence is suddenly found by Ruth Paine even after the DPD take a lot of stuff from her, and even after the FBI goes through Ruth Paine's house. A photo of Tippit from his widow. There were three wallets catalogued by the FBI, The three wallets include a brown billfold (FBI exhibit 114), a red (plastic) billfold (FBI exhibit 382) and Oswald's arrest wallet (FBI exhibit B-1). Even Dale Myers admits there is something very fishy about Oswald's wallets. DALLAS — No other crimes have been more analyzed or scrutinized than what happened in Dallas a half-century ago. "It's been picked apart for decades,” said Farris Rookstool III, JFK historian and former FBI analyst, “but the tragedy of this is no one has ever taken the due diligence of time to really put these pieces together until now." After five decades, Rookstool is sharing the strongest evidence yet that Lee Harvey Oswald murdered Dallas police Officer J.D. Tippit. "The wallet puts him definitively at the scene of the crime," Rookstool said. Oswald's wallet has been a persistent mystery in recent years — one Rookstool started studying. The mysterious billfold first appeared on WFAA in the afternoon of November 22, 1963. 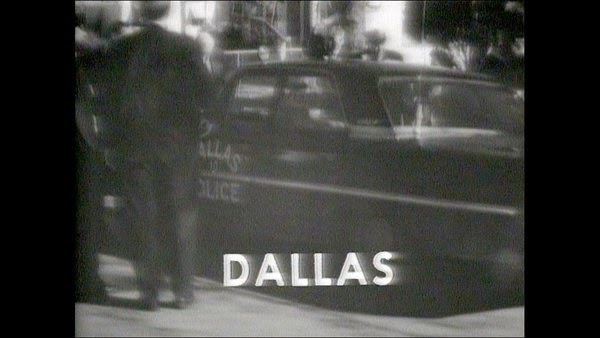 WFAA program director Jay Watson, anchoring live coverage of the assassination, asked Channel 8 photographer Ron Reiland to join him on set and discuss film that Reiland just shot on the Oak Cliff street where Tippit was slain. "Let's roll the film and we'll narrate it as we go," Watson said on air. 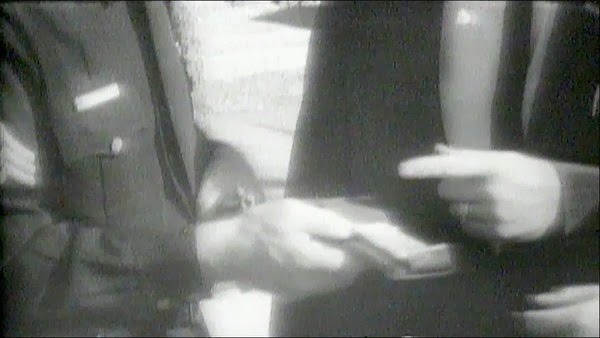 Reiland, describing each scene to Watson, presumed the wallet seen on the film belonged to Officer Tippit. "There is absolutely no doubt in my mind that this is Oswald's wallet," Rookstool said. So, Rookstool set out to prove it. He compared the Channel 8 black-and-white film to Oswald's actual wallet in the National Archives. On each of them, circular snaps are visible, along with metal strips and — perhaps the biggest similarity — a zipper over the cash compartment. Oswald's wallet is a different color and has different characteristics than Tippit's. This month, for the first time, Marie Tippit shared her late husband’s wallet with WFAA. Tippit's is black, has a different style snap — no metal bar like Oswald’s — and does not have a zipper over the cash compartment. A half hour east of Birmingham, Alabama is the only man alive today who saw Oswald's wallet at Tippit's murder scene. 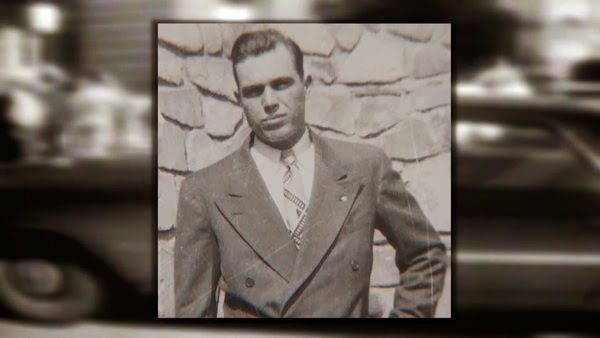 "As I walked up, I happened to not knowingly step in a puddle of blood, which was Tippit's blood," retired FBI Special Agent Bob Barrett recalled. "I thought, 'Oh God, what have I done?'" He spent 27 years in the FBI and was asked to go to the Tippit murder scene that day by his friend, Dallas County Sheriff Bill Decker. After arriving at 10th and Patton in North Oak Cliff, Barrett said, he recognized a Dallas police captain thumbing through a billfold. "He said, 'Bob, you know all the crooks in town, all the hoodlums, etc. You ever heard of a Lee Harvey Oswald?' I said, 'No, I never have.' He said 'How about an Alec Hiddell?' I said, 'No. I never have heard of him either,'" Barrett explained. "Why would they be asking me questions about Oswald and Hiddell if it wasn't in that wallet?" In addition, the first Dallas cop on the Tippit crime scene said he actually recovered the wallet. Sgt. Kenneth Croy, a reserve officer at the time, put it in writing on an 8" x 10" picture for Rookstool. “First on the scene, recovered Oswald’s wallet there, too,” Croy wrote on an image of Tippit’s patrol car. But officially, Dallas police told a different story. The department said it got Oswald’s wallet from Oswald himself after his arrest a short time later at the Texas Theatre. Barrett and Rookstool believe police made that up for the official report because too many officers handled the crucial piece of evidence at the shooting scene. "They said they took the wallet out of his pocket in the car? That's so much hogwash," Barrett said. "That wallet was in [Captain] Westbrook's hand." "Bob's in Alabama. Kenneth Croy is in Hamilton, Texas," Rookstool said. "They had no relationship with each other than the fate of history put them at the scene of a crime." Rookstool says the testimony of Barrett and Croy, Tippit's billfold, and the WFAA film prove that Oswald's wallet was at the scene of the policeman's murder. More than shell casings and eyewitness recollections, it is the first hard evidence placing Oswald there on that day. It’s significant in tying off a historical loose end and perfecting the record — fifty years later.